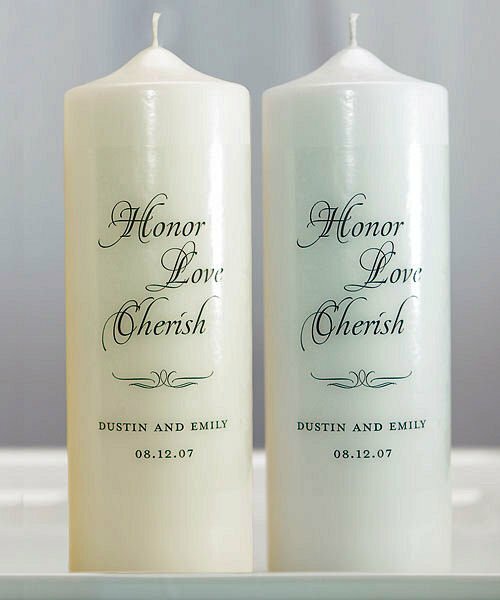 Customized with your names and wedding date, this beautiful candle features the words Honor, Love and Cherish in an elegant script font. 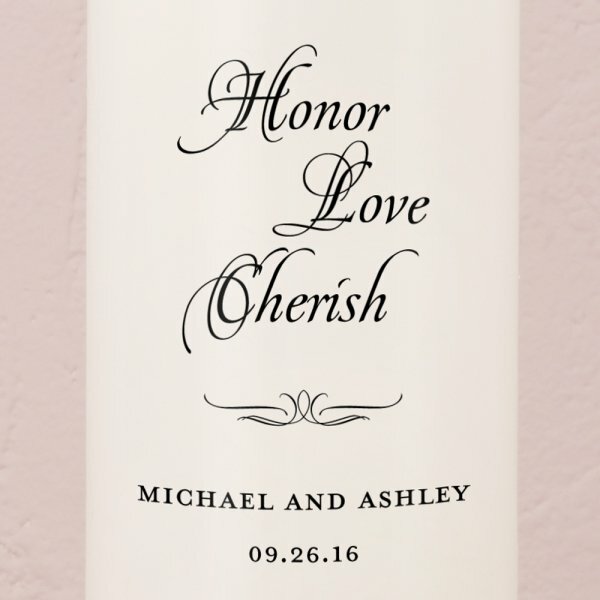 What a great way to declare your commitment to each other on your big day. 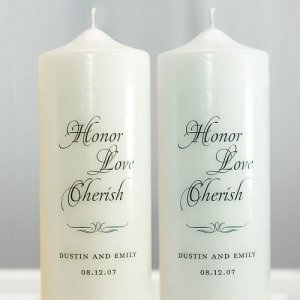 Choose either white or ivory candle wax. Product dimensions - 3" x 9" H.